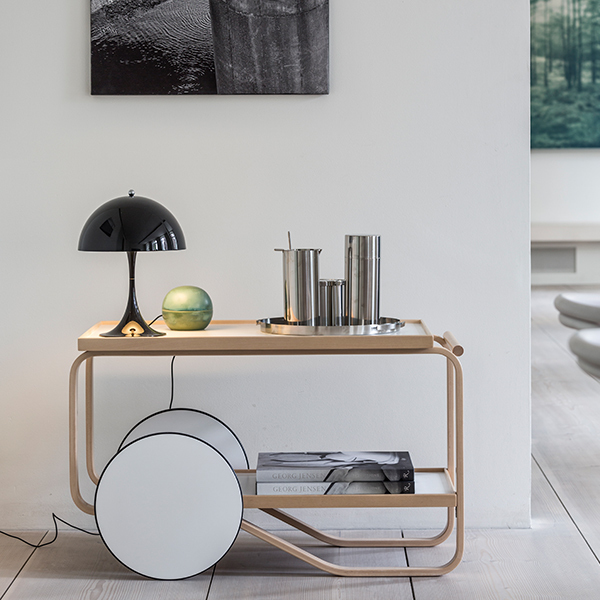 Panthella Mini from Louis Poulsen is a smaller version of the iconic Panthella table lamp. The vibrant colours of the Panthella Mini range were inspired by the Light and Colour exhibition, curated by designer Verner Panton himself and housed by the Trapholt Museum of Modern Art and Design in 1998. 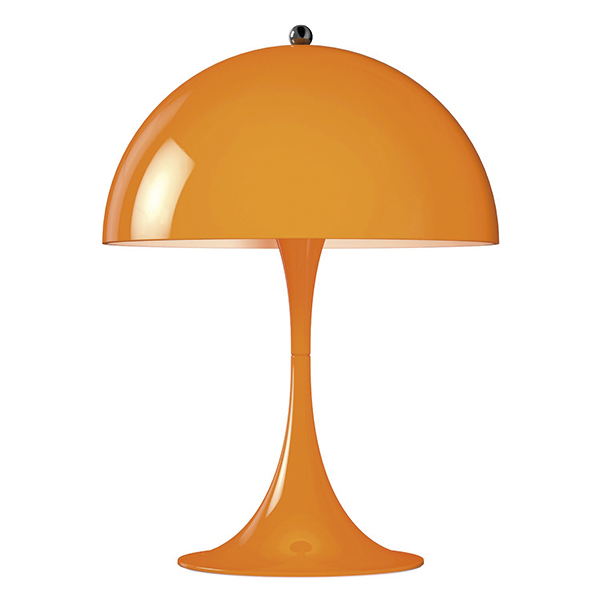 Verner Panton designed Panthella in 1971, and it was sold with a white foot and an opal glass diffuser. As technology has advanced, Louis Poulsen has been able to grant Panton’s wish to manufacture the round shade also in metal. 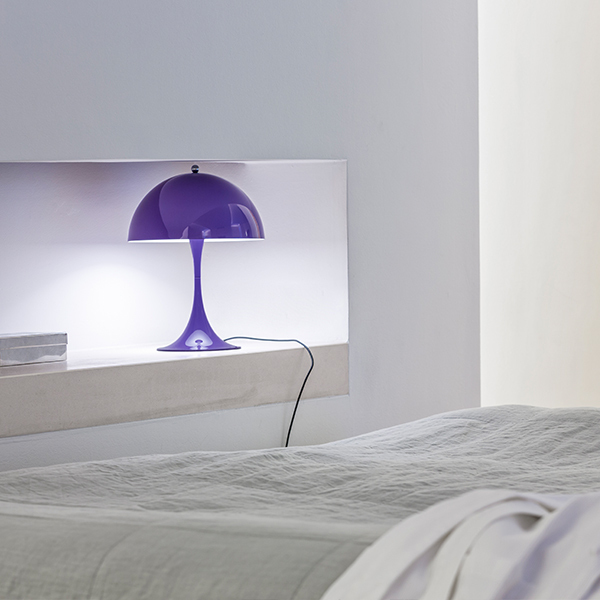 With its built-in LED unit, Panthella Mini provides a pleasant light that reflects beautifully from the trumpet-shaped foot. Due to the smaller size, the design classic is as versatile as ever.